Astrology is not a magic or spirituality or Sidhi or God’s gift to any one person. It is a very fine art of prediction. It is just calculation and observation of the heavenly bodies in the universe. Astrology is the study how these heavenly bodies or planets affect each other and the living and non living things on other planets including our earth. Do not confuse astrology with psychic sciences , spirituality, magic or Sidhi (magical power). By the way Sidhi is thorough knowledge of a subject. It has nothing to do with magical powers. If you are too good in mathematics that means you are Sidh in the subject. Let’s take an example- On a sunny day; you all know that the day will be warm. If you are going out, you will sweat so you go out in your air-conditioned car. If there are clouds, you know it might rain so you take an umbrella with you. Nobody told you about the weather, it was your observation. In ancient times astrologers used to predict about weather. When agriculture was the main occupation of people, astrologers used to predict about monsoon, flash floods, excess heat and rain fall etc. There were many methods and one of them was sun’s entry into Aridra Nakshatra. If Sun enters Aridra Nakshatra in the evening or night, it indicates plenty of rainfall which is good for the crop. If Sun enters Aridra Nakshatra during day that means between 7:00 to 18:00 hours there will be less rain. So you can see it is no magic only observation and calculations. These days we have weather forecast departments for weather predictions. Same way the position of planets at the time of your birth gives insight into your character. Further the transit position of the planets, in relation to your natal position affects your day to day life. Years and years of study, knowledge, observation has given us such extensive information which we should not fail to acknowledge. An astrologer can be lacking in his subject, he may be fooling people, or he may be putting fear in innocent people but the science is not wrong. If you do not want to be fooled, you must study this divine science. Are we the only ones affected by planets? Certainly Not, planets affect everything on earth whether it is living or non living. Planets have gravity and electromagnetism and these two qualities affect things over short and very long distances. Sun’s radiation reaches every nook and corner of this earth. 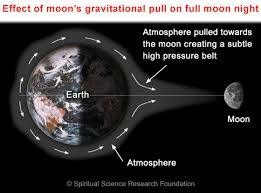 Moon’s gravity causes tides in the sea. Animals, birds, plant kingdom, all metals, everything, even earth itself is affected by other planets. It is not that Sun or Moon or Mars come down and do something, it all happens in synchronization. It is cause and effect. What goes on in heavens is experienced by us on earth. Everything is happening in a system. There is certain relationship between patterns in the universe and patterns of life on earth. Let me quote ‘ quantum physics’ here that everything on this earth is connected with everything in the universe. As the planets affect everything on this earth, hence anybody can make a horoscope of any and everything. In olden days Kings used to get horoscope made for the time of crowning ceremony, starting war, celebrating festivals, starting journeys etc. Now a day’s lot of people started learning astrology. 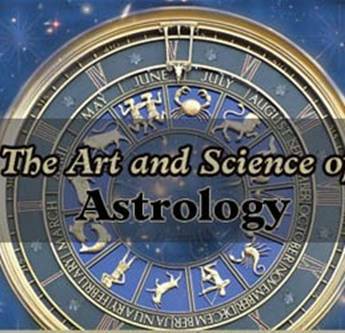 Many educated people have started doing research in certain fields of astrology i.g. medical astrology, financial astrology, abroad trips etc. So anyone can learn and follow the art of predicting astrology for anything happening on the earth. Next PostNext Are you feeling low?